Flipping through the Canadian Oxford Dictionary this morning, I discovered that a liger (favourite animal of Napoleon Dynamite) is not only a real animal, but that it is specifically the offspring of a male lion and a female tiger. The corresponding offspring of a lioness and a male tiger is called a tigon. 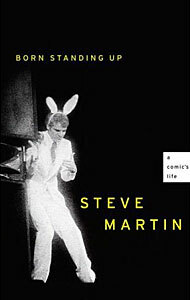 Brooke picked this book up for me a few weeks ago, knowing I’d been a huge fan of Steve Martin during his standup years. You could even say that as a teenager, I idolized Martin. To this day, I’m in awe of people (including myself!) who can make others laugh. But I’ve always been slightly bemused by some of Martin’s latter-day forays into melancholy (Shopgirl, for example) and wondered what had happened to the sense of the absurd that fuelled his edgy comedy routines of the 1970s. I think I was 13 when I saw him perform at Toronto’s cavernous Maple Leaf Gardens, and it still boggles my mind today that a comedian could fill a 20,000 seat arena. It almost seems unreal now. But Saturday Night Live, his appearances on The Tonight Show, and for me, his comedy albums made Martin a bonafide superstar. 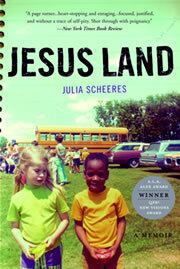 But as Born Standing Up: A Comic’s Life reveals, he was not quite an overnight success. In fact, in this book he writes with a sometimes dewy-eyed sentimentality about all the hard work it took for him to look “wild and crazy.” A driven perfectionist with a Protestant work ethic, Martin grew up studying magic tricks and practiced for hours upon hours until his act looked effortless. Martin’s seemingly absurd routines were fuelled not by the ubiquitous drugs of that period, but by a ruthless intelligence and curiosity. He was a student of philosophy, and of comedy. I smiled with recognition as he recalled some of his more inspired bits, but Martin himself seems still somewhat detached from this period of his life. He admits that after he left standup for the movies in the early 1980s, he rarely thought about that time. Only now with this book does he realize that it was the most fruitful, exciting, and just plain funny period of his long and (now) distinguished career. He’s honest enough to admit that he was never really after fame, and became very uncomfortable with it pretty quickly. But he loved performing. Although he seems at peace with his life, he still seems to look at his standup self as if he were looking at a completely different man. I find that a bit sad. Steve Martin is less funny these days, and I think he knows that. But he’s had tremendous success as a writer of essays, fiction, plays and screenplays, and as an actor. For me, though, Steve Martin will always be the man who let me know it was OK to make a smart joke that nobody else got. Along with Monty Python and, later, the Coen Brothers, Steve Martin’s “bits” were the currency that was shared among me and my friends. It’s hard to believe that it’s already been thirty years. Now, before I start becoming the dewy-eyed sentimentalist, I’ll wrap up. If you’re of my generation, and actually saw Steve live on Saturday Night Live, you’ll want to read this slim but rewarding volume. Although the real Steve is considerably more complicated than the “funny” Steve, this was still a great read. In fact, I read the whole thing today. I am tagging Brad, Kevin, and Jay.